They have a small hand-selected group of really wonderful gifts, especially for cooks and gardeners. 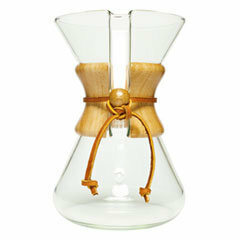 Chemex coffepot for the coffeelover in your life. This and a bag of premium beans will get you a permanent invite for breakfast. Yes, its a hammer. 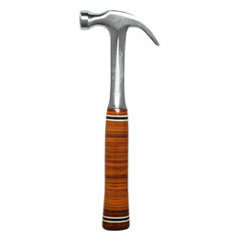 But it is a really beautiful hammer, and sends the message that you are so appreciative of their skills around the house. Bonus? I bet those projects you've been waiting to get completed will magically become a priority. 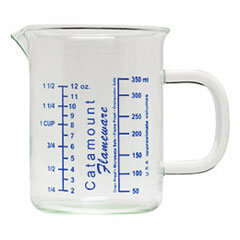 This glass measuring cup is great for the cook in your life, I love that it has both oz and ml, and its generous cup and a half capacity. The best stocking stuffer for the baker in your life. 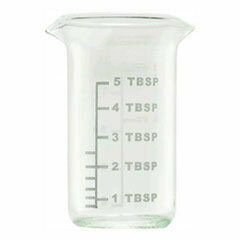 This small cup measures from 1-5 tablespoons, I've never seen one anywhere else, and it is a gamechanger. 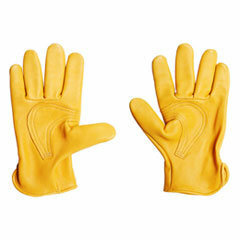 These deerskin gardening/work gloves are soft but strong, will last forever, and are surprisingly stylish and affordable. I recommend buying before someone has to lug a tree out of the living room.